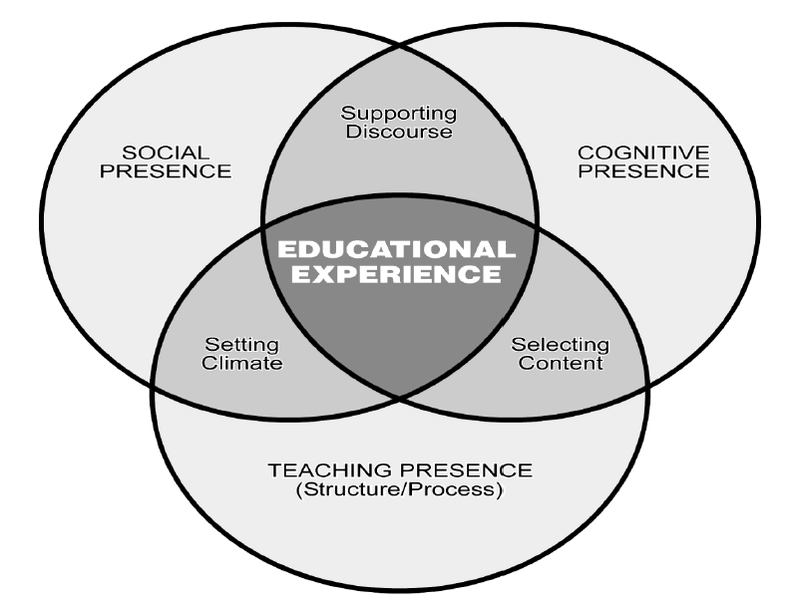 Part 1 in a 3 part series on the concept of ‘Presence’ in the Online Classroom. Instructor presence in the online environment can be elusive as a shadow – it’s one dimensional, monochromatic and takes on various forms depending upon the point of view. Yet, instructor presence in online learning communities is vital to ‘complete learning’ (by complete I mean student engages with content, applies higher order thinking skills, and produces tangible evidence that learning objectives are met). In the virtual environment the instructor needs to be ‘real’, 3 dimensional, have a personality, be the subject matter expert and as if this isn’t enough, help the student achieve the learning goals in this virtual space. A tall order. In this post I’ll share why and how instructor [virtual] presence is critical, essential instructional design components to facilitate presence, and strategies used by instructors that demonstrate presence. …the student becomes engaged by the content (whether people, text, images or other) and the technology disappears. A research study in Journal of Interactive Online Learning supports this observation. The study found that the largest single instructor action that students attributed to their success in the online course was the feedback provided by instructors that helped them [students] understand their strengths and weaknesses. The second most important success factor identified was the “instructor’s ability to focus discussions on relevant issues” (Kupczynsk et al., 2010). Another concept which is interesting is how the instructional design of the course itself supports ‘presence’. Course design can be considered, the silent instructor. When strong design principles are in place, this frees up the online instructor to invest time in connecting with students in the online community and teaching. “The need for presentation of clear, concise objectives, instructions and general participation guidelines should be a cornerstone of online course development. Both groups in this study expressed significant frustration when these elements were not present and believed that successful engagement with content and activities was dependent on sound instructional design and organization”. (Kupczynsk, 2010). The professor as a real person: Our instructors create a one to two minute welcome video. Students watch the clip during the first few days of the class. Instructors create a YouTube video clip (can be private), or create a .mov file on their laptop and upload the clip to our Learning Management platform. I love these clips – each are unique as the professor. Some are filmed in the instructor’s office, outside, or even in a coffee shop. These clips make the professor ‘real’ and set the tone for an open and interactive learning community. Communicating regularly: Posting a weekly announcement with course updates, web resources, commenting on course discussion boards and/or upcoming assignments also seems to be an effective method by the instructor communicating ‘en masse’. Using humour strategically can also break the ice and make the class fun, with a humourous YouTube clip or comic. Feedback on assignments. My absolutely favorite method of feedback that I received as a student, was when my professor recorded feedback on an assignment using the screen cast format, [Jing is one example]. The file was emailed (and posted in the gradebook). The instructor gave specific, personal commentary, and though it was only 3 or 4 minutes in length, it was effective. Another option is Audacity or Screencast.com. Feedback/input on Class Discussions. [Not surprising] research also suggests that students respond positively when instructors are involved in class discussions, rating this as a strong indicator of presence. It takes a completely different skill set to instruct online than in the face-to-face environment. Hopefully this post provided some insight and assistance for those instructors teaching online. I’ll be covering social presence and cognitive presence in part 2 and 3 respectively. 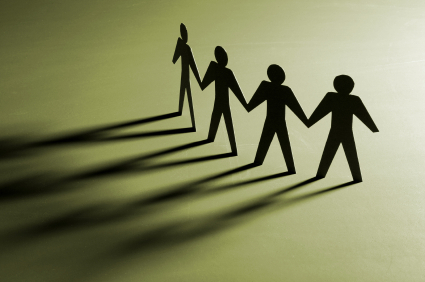 Click here for part II, Do we need Social Butterflies in Online Learning Communities? Lehman, R. & S.C.C. Conceicao. (2011). Creating a Sense of Presence in Online Teaching. Jossy Bass Publishing. San Fransisco, CA. Kupczynski, L., Ice, P., Wiesenmayer, R., & McCluskey, F. (2010). Student perceptions of the relationship between indicators of teaching presence and success in online courses. Journal of Interactive Online Learning, 9 (1). Next > Do we need ‘social butterflies’ in Online Learning Communities? Communication (#2) on a regualr basis is great. We do this in business, sports, our own families.